We all know that times are tough, and everyone is trying to watch their wallets. Many people are using discount websites to book getaways that help keep them from breaking the bank in order to enjoy some time away. Let’s be honest though: if you won the lottery, you would definitely book a stay in the most pampering suite possible. Sure, it’s not likely, but it’s always fun to dream. 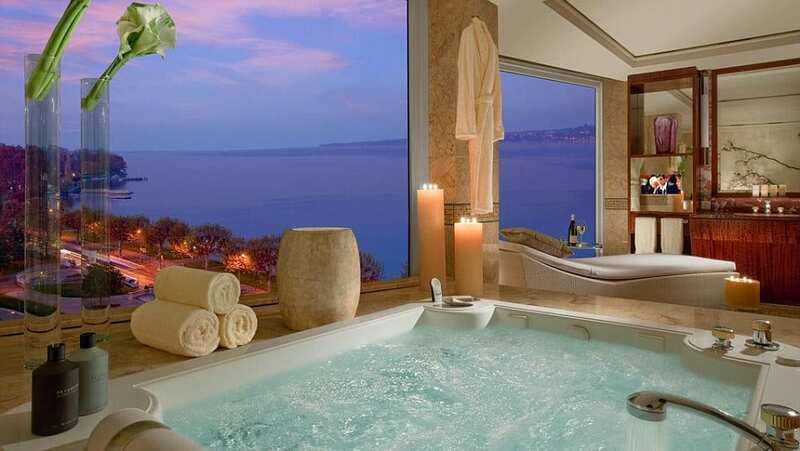 Prepare to drool as you check out these epic luxury rooms. 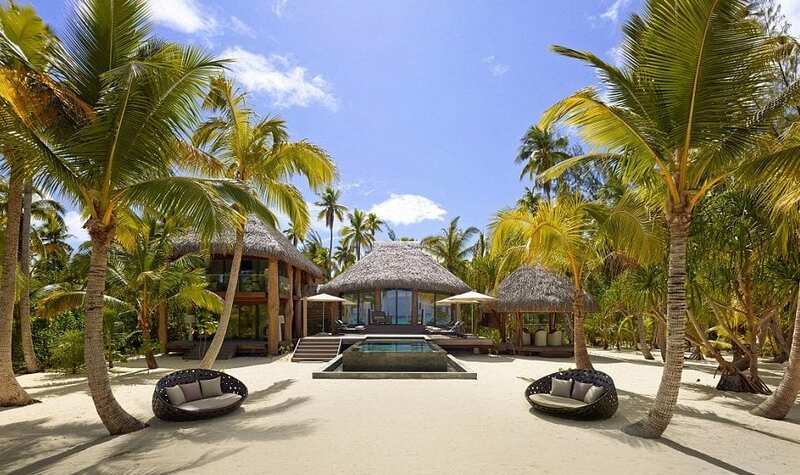 Be the king or queen of your own private island at this incredible tropical getaway at The Brando Hotel, on the island of Tetiaroa. A 30 minute plane ride away from the nearest big island – which is Tahiti, already isolated smack dab in the middle of the Pacific Ocean – you can have ultimate privacy fit for a movie star when staying in one of the hotel’s bungalows. The concept for the hotel was actually created by legendary Hollywood hunk Marlon Brando, who grew to love the region after filming a movie there. One of his favorite aspects of like in Teiaroa was that it was impossible for papparazzi to be anywhere near by – and since this island is private, when you book your $15,000 a night stay there – you’ll be the only person for miles. This villa in Athens, Greece is fit for a royal – or, a major movie star at the very least. Hollywood A-listers Leonardo diCaprio and Mel Gibson have both called this hotel home for a very expensive night – an evening here costs $40,000! It’s well worth it though, because the accommodations are out of this world. The villa comes complete with a full staff, ready to wait on your every whim at your beck and call – there’s a limo driver, butler, hair stylist, and manicurist all available at a moment’s notice. Switzerland has a well earned reputation as the playground of the mega rich. From the perfect ski slopes of the Alps to the strongest banking privacy laws on the planet, there’s a reason why wealthy people flock to Switzerland. And if they choose to stay at the $65,000 a night President Wilson Hotel in Geneva, they will be well catered to. The most distinctive features of this suite are bulletproof glass windows and a walk in safe – make of that what you will!